Last week Dallmeier held the official launch of its new multifocal sensor technology range, the Panomera S Range. James Walker, Dallmeier UK Managing Director, hosted a varied morning of demonstrations and talks about the new range in Canary Wharf, and SecurityNewsDesk was on hand to hear how the Panomera range is set to revolutionise the video surveillance industry. No effort was spared at the launch, with a mock installation set up at Wood Wharf for live demonstrations and a guest speaker in the form of Richard Bell of Transport for London. Before diving into the specifics of the new product range, Walker thanked Canary Wharf for its support of the launch and told the assembled guests that he hasn’t been as excited about a product in the digital video market for a long time, and it’s easy to see why. The Panomera S-Range includes multi-sensor cameras that include four, seven or eight sensors that work together to capture footage over an area of up to 79,700 feet. The cameras enable substantial Wide Dynamic Range (WDR) as exposure is handled separately. In addition, the multifocal sensor technology provides a guaranteed constant resolution of at least 125 pixels/metre. This means that large distances can be monitored from a single location in real time with uniform image resolution, wide dynamic range and consistent focal depth. 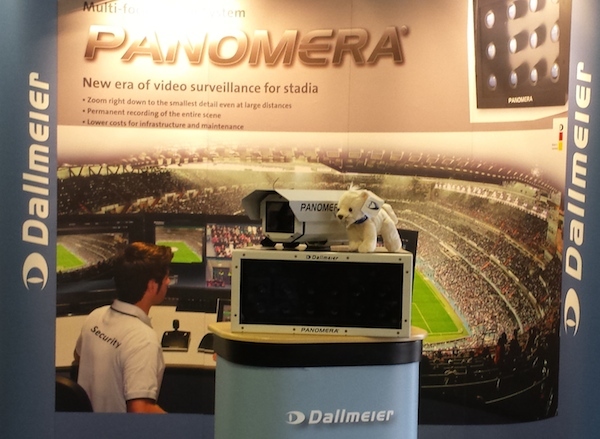 Walker and the rest of the Dallmeier team demonstrated how the Panomera cameras have proven their effectiveness in a range of locations, including arenas, football stadiums, airports and seaports. One of the most useful features of the range in these situations is proving to be the ability to capture activity in remarkable detail thanks to an impressive frame rate of 12.5 frames per second. When you consider that far fewer cameras are required with this multi-sensor solution, it’s no surprise to learn that several high profile football stadiums in the UK are already benefitting from it, and top locations like the Victoria and Albert Museum are in the process of installing it. The Panomera range is a fully customisable solution that works with Dallmeier’s own video management system (VMS), as well as being completely ONVIF compliant, and runs in easy-to-use software that allows for multi-user function. In comparison to single-sensor cameras, the Panomera multi-sensor cameras provide wide area coverage 24 hours a day, no matter where the operator is focusing, ensuring nothing is missed for evidentiary purposes. 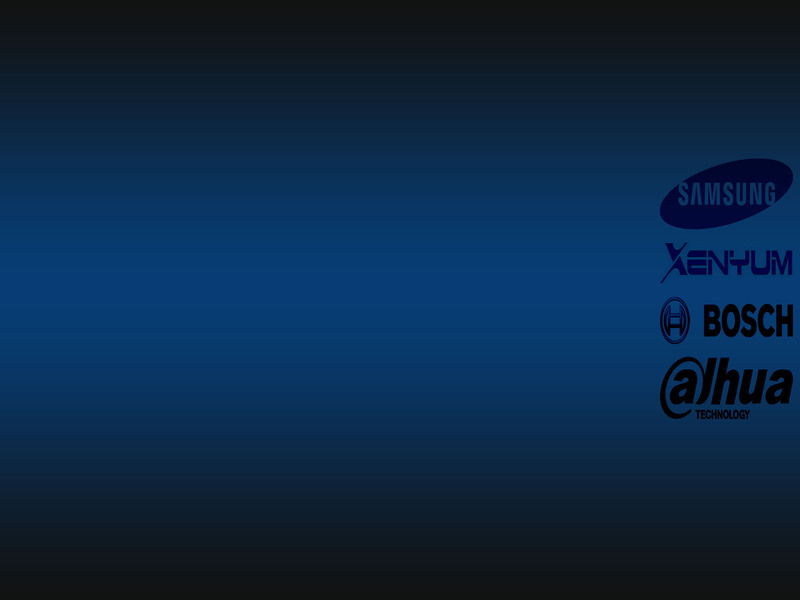 The system is also fully scalable. Having worked from bigger cameras with a higher number of sensors down to the smaller S Range that was launched last week, Dallmeier is confident that it has the ideal solution to scale to any requirement. Walker is certain that Panomera is revolutionising video surveillance. In addition to the strong list of features, Panomera cameras are cost effective to install. In comparison to a large installation of single-sensor bullet or dome cameras, Panomera cameras cover more space with just one installation point and one network point. The sensors also automatically align, reducing the time, money and effort put into installation, making the S Range more cost effective. With a range of additional cameras already in production and the impending launch of a Panomera Streamer solution, Dallmeier won’t be stopping here. For instance, the Streamer solution will resolve the bandwidth issues associated with HD footage and images, and Walker told guests to get ready for much more as Dallmeier leads the way into, what he sees, as the next generation of video surveillance.